The dreamy essence of December 9th is both inspiring and confusing, and too many thoughts that are swirling in our minds could make us restless and lost at this time. Direction will easily become hazy and unclear, but the true calling of our Soul is about to come to light as soon as we let our emotions flow. People born on this date are talented and turned to numerous things in life, but they have a task to find their calling and the true direction that resonates with their heart. Talents are many when there is so much energy to answer to the calling of life itself, and people born on the 9th of December know a lot, share a lot, and try out a lot of new things whenever they get a chance to. Still, they get a bit detached from their heart's desires. Their ability to shine in numerous things might make them hesitant when it comes to their truest talents and abilities. Decision making is often a process that shifts and changes in lives of these individuals, and while they know what they strive for, it is often too distant and wide to reach for in a practical sense. Instead of sending their minds too far into the future to chase for the ideal, they need to approach to living the ideal in this moment in time, or they might get lonely and lost in attempts to do good for a goal that won’t come any time soon. The clarity of lights is to become the guiding premise for those born on this date, as they learn through life that they have been hazed by other people's beliefs, specifically those of their parents. They need enough time to themselves, so they can cleanse their emotional world of influences from the side, and to dial down on strength and initiative, so they can find emotional clarity and tenderness needed to see where they wish to go. Their energy will be used best when in tune with the sensitive, feminine side to their personality. "Children Playing on the Beach, their Heads Protected by Sunbonnets"
"An Easter Sunrise Service Draws a Large Crowd"
There is a difference between religion for grownups and children here, and the task of those born on December 9th is to ask themselves if they have grown in a natural way or have their beliefs been shaped by the collective. Their child within needs protection from egoistic and pushy influences and statements of others, especially since they feel like they cannot be bruised by such contacts for as long as they are strong-willed themselves. To see true effects of the outer world on their emotional one, they are to slow down and feel what happens in their body and Soul every step of the way. 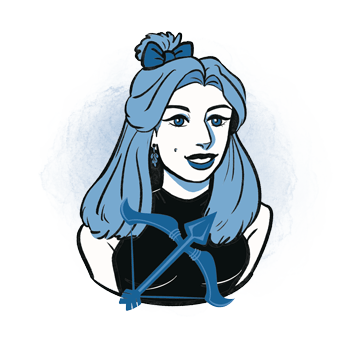 With Jupiter giving important lessons at the end of each their quest, people born on December 9th are to discover their true direction in life, their own religion, beliefs that resonate with their heart, and learn about their true place in the world. They are on the quest for truth, for positive and optimistic views that will summon everything they need in this moment in time. Seeking knowledge, they might get lost from time to time, only to be found once again as their moral judgment pushes them back where they belong. Considering their childlike nature and their need to be less serious than many and make life fun, their choice of partners could be strange, make no sense to other people, and seem inconsistent or idealized. 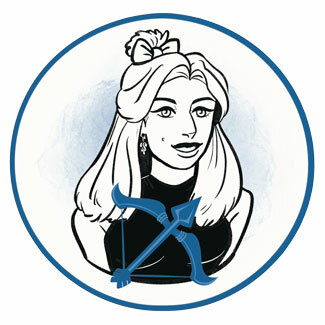 They are dreamers with a cause to pursue, and while some will project this onto a partner, most Sagittarius representatives born on December 9th won’t really connect personal one-on-one contacts with the touch of Divine Love they seek. They need an emotionally stable partner by their side, so they can learn how to connect on deeper planes in present time, or they might stumble upon disappointments that close their heart for future interactions. Much more sensitive than they seem, even to themselves, they are to learn how to follow the emotional flow into greatest depths without fear of commitment. They tend to live in their own world, sometimes choose to be dishonest or flirty with people who don’t really interest them, and need some balance and focus in their love life to see its connection to the mission they are meant to embark on. To find grand love, they are to find it in personal contacts first, and need someone to believe in them so they can return the favor, in all honesty. An individual born on December 9th is an idealist, a painter, a musician, someone talented for all forms of art and ready to share their emotion with the world. They are religious leaders, priests and teachers, those who know that teaching is the process meant to touch someone's heart and their dedication to the cause makes them excel in any area of expertise that their inspiration and motivation is founded in. Scattered in many directions, they will be good at long-term projects only when they are fully connected to their higher goals or their attention wears off too quickly. A good choice of crystal for someone born on the 9th of December is afghanite, a stone that helps them focus on daily issues and turn to practical problem solving instead of holding on to issues that are too distant. It stimulates the brain and helps them think clearly, being present in this moment in time. Here, answers are instantly found instead of wandering through realms of the mind that have little to do with issues at hand. Calming and soothing, it helps work within a group and aids one in building emotional boundaries. The right birthday gift for a person born on December 9th is supposed to smell good, and feel good in their hand. They will appreciate wonderful atmospheres, foam parties, tender music and concerts in the woods. In love with nature and in need of contact with it, you can organize an adventure in the open, a hiking tour, or a horseback ride to a waterfall in the forest. They will love a touch of magic, a ticket to distant islands, to Iceland, New Zealand and Madagascar, and wish for a day filled with emotion and meaning. Dreamers with talents and ideals to follow, they have faith in humankind and feel where people are meant to go and what they are meant to achieve on their soul's path. Giving and tender, their desires are grand and a glimpse of a utopia found here, on Earth. Detached from this moment in time, distant, isolated, emotionally scattered and unsure where they are meant to go. Idealizing, they can’t see where their energies end, and where another person begins, breaking boundaries of healthy contact. In 1916 Kirk Douglas was born, an American actor and singer, filmmaker and centenarian, known for his explosive acting style especially during the Golden Age of Hollywood. Due to his childhood circumstances, he had more than 40 different jobs before getting one as actor. In 1934 Judi Dench was born, an English actress and one of the most significant British performers who starred in Shakespeare in Love and Golden Eye. Well over 80, she stated that she got tired of comments and discrimination of her age, and said she wants to be able to decide for herself if she can’t do certain things anymore. In 1953 John Malkovich was born, an American actor and producer who appeared in more than 70 movies, and is known by roles in Being John Malkovich, Dangerous Liaisons and others. He founded his own fashion company in 2002 for which he designed outfits himself. 1851 – Establishing of the first YMCA in North America. 1872 – The first time that an African-American becomes the governor of a U. S. state. 1905 – Passing of the law in France that separates church and state. 1948 – Adoption of the Genocide Convention. 1960 – The first broadcast of Coronation Street, the world's longest running soap opera. 1965 – The debut of the first in the series of Peanuts TV specials, A Charlie Brown Christmas.